MANASQUAN, NJ – College football season is here, and one lucky fan will be a big winner. Jersey Mike’s Subs, known for its fresh sliced/fresh grilled subs, kicks off its annual A Sub Above College Football Tailgate Sweepstakes. One Grand Prize winner will receive six tickets to a 2018 regular season home football game of the Grand Prize winner’s choice scheduled to take place during either October or November 2018 at participating schools. Jersey Mike’s will fly the winner and five friends to the game, and provide a Jersey Mike’s Gift Card for a tailgate party prior to the game. In addition, five First Prize winners will receive four tickets to one 2018 season home football game and a $100 Gift Card. Five Second Prize winners will receive a $100 Jersey Mike’s Gift Card and twenty Third Prize winners will receive a $50 Jersey Mike’s Gift Card. 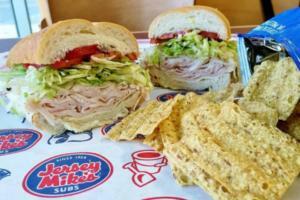 Fans can enter through September 30 by placing a Jersey Mike’s online order at www.jerseymikes.com/order or through the Jersey Mike’s mobile app with promo code SUBABOVE10 or, without making an online order, by visiting https://www.jerseymikes.com/promo/cfb-tailgate-sweepstakes and following the instructions. An additional score? Online orders, using the promo code, receive 10 percent off. For additional information or rules pertaining to Sweepstakes, please reference https://www.jerseymikes.com/promo/cfb-tailgate-sweepstakes. ATLANTA, GA – Huddle House, the nation’s most iconic neighborhood diner known for its Southern hospitality and big portions at fair prices, recently commemorated its 2018 annual franchisee convention, which was held July 22-25 in Ponte Vedra Beach, Florida. 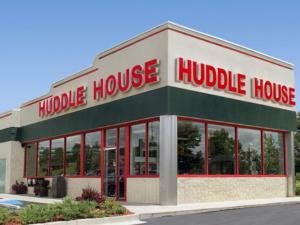 This year’s convention celebrated Huddle House’s company-wide accomplishments during its 2018 fiscal year and challenged all attendees – franchise partners, regional marketing and field team members, corporate leadership and vendors – to continue to exceed expectations, lead by example and serve from the heart. The three-day conference included extensive training, educational seminars and opportunities to share best practices across the franchise system. Committed to serving “Any Meal, Any Time,” Huddle House restaurants have become icons in the communities they serve throughout the country by bringing friends and family together over delicious food, served from the heart. The core values on which the brand was founded – serving freshly prepared, quality home-style food in a warm, friendly environment that brings the community together – are as true today as they were when it was founded 52 years ago. Today, the brand has 347 locations open and an additional 51 in development. 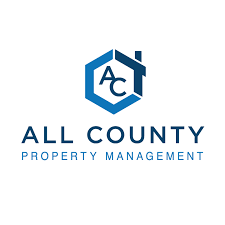 All County Franchise, a property management service provider offering leasing, tenant screening, rent collection, and maintenance services for residential rental properties, is celebrating the opening of its 50th location this month. The company’s focus is on innovation and building tools and resources to support their franchise owners, including website localization, online training courses, and ready-to-implement sales and marketing materials. Fuzzy’s Taco Shop has partnered with Share Our Strength’s “No Kid Hungry” initiative in their mission of ensuring all children get the healthy food they need to thrive. Throughout the month of September, guests at Fuzzy’s Taco Shop who donate $2 or more will receive a coupon for a free order of Chips & Queso redeemable on their next visit, while helping end childhood hunger in America. The $2 donation provides a child with 20 meals through the Share Our Strength initiative. Last September, Fuzzy’s Taco Shop raised more than $93,000 and hopes to surpass that amount this year as they “Queso for a Cause.” In addition to its almost-famous Chips & Queso, Fuzzy’s Taco Shop is also known for Baja-style tacos and other casual Tex-Mex favorites across 144 locations nationwide. Donations made at Fuzzy’s Taco Shop in September will help No Kid Hungry fund school breakfast programs, recruit summer meal sites, and empower families to shop for and prepare healthy meals. The organization also provides grants to hunger-fighting organizations across the country to help them end child hunger within their communities. For more information visit, www.FuzzysTacoShop.com. Like Fuzzy’s Taco Shop on Facebook, follow on Twitter, and Instagram for updates on promotions and your daily fix of taco pictures. 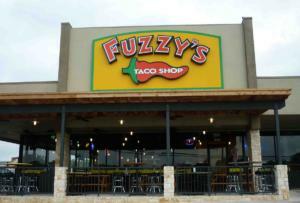 Founded in 2001 near the TCU campus in Fort Worth, the original Fuzzy’s Taco Shop® was purchased by Alan and Chuck Bush after just two years of operation “to focus our full attention on promptly and efficiently providing our guests with generous helpings of uniquely flavorful foods at a fair price in a fun atmosphere. Fuzzy’s corporate-owned and franchise locations serve fresh, handmade Baja-style Mexican food in 144 stores across 12 states, with many more on the way. Fuzzy’s Taco Shop was named Nation’s Restaurant News’ #7 “Fastest Growing Chains” in 2018, and is a member of the International Franchise Association and participates in its VetFran Program, which provides special financial incentives to qualified veterans. Do you believe in Majik? 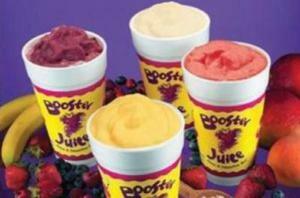 Canada’s premium juice and smoothie bar, Booster Juice, is set to launch a brand new, seemingly magical product on September 1, 2018. To boost excitement ahead of product launch, the company has kicked off a cryptic blue-coloured advertising campaign that directs consumers to the social media hashtag #BlendItBlue. Generation NEXT Franchise Brands, Inc. (OCTQB: VEND) announced today that the company is ramping production and delivery of its proprietary Reis & Irvy’s robotic frozen dessert vending kiosks after a brief delay that forced the company to redesign two key components. Generation Next Franchise Brands, Inc. (OTCQB: VEND) is the developer of the world’s first fully-automated robotic frozen dessert vending kiosk designed to disrupt brick-and-mortar competitors. Reis & Irvy’s unattended robots eliminate the need for costly rents and employees; significantly reduce food safety concerns; and are capable of operating 24-hours a day. SCOTTSDALE, AZ. – Cold Stone Creamery® is excited to partner with the new animated adventure Smallfoot to introduce two special film inspired treats. The Smallfoot Creation™ and Shake will be available from August 29 through October 16. 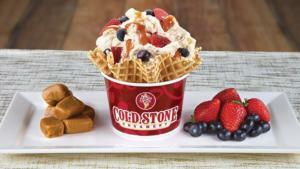 Cold Stone Creamery will also launch an online sweepstakes starting August 31. Visit www.ColdStoneCreamery.com/sweepstakes and take the “Which Smallfoot Character Are You?” quiz for a chance to win a private hometown screening of Smallfoot. Fans can take the quiz until September 14. Smallfoot, from Warner Bros. Pictures and Warner Animation Group, opens in theaters September 28. The “Bright Future” Blend tea is a delicious apple-inspired Herbal infusion of rooibos, orange peel, and a red crisp apple flavor, grown in the Eastern Cape of South Africa for a smooth and bright, creamy cup. 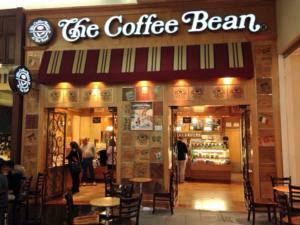 The coffee blend is a bold, rich roast that combines medium roast Colombia coffee with a dark roast from Brazil. It has a dark chocolate flavor and nutty finish, as the perfect way to start your day! For more information about the Caring Cup’s new Bright Future campaign, please visit www.CoffeeBean.com/BrightFutureBlend. The Coffee Bean & Tea Leaf®, one of the world’s leading roaster and retailers of specialty coffee and tea, is introducing limited edition “Bright Future” Blend Coffee and Tea for the back to school season to benefit local teacher projects on DonorsChoose.org. The coffee and tea blends are available from August 27th through September 30th and $1 from each sale in-store or online will be donated to fund projects at schools around company-owned retail locations in California and Arizona, and participating franchise stores. The Coffee Bean & Tea Leaf® “Bright Future” campaign is part of the company’s Caring Cup Initiative, committed to supporting local communities including everyday heroes like our teachers. The campaign will officially kick-off by funding three local school projects on DonorsChoose.org to support local teachers for the new school year and inspire students to maximize their learning potential. The projects range from helping elementary school kids learn about college, to teaching students healthy “Farm to Table” cooking skills in support of their school vegetable garden, and encouraging Reading Every Day (RED). The remaining projects will be funded throughout the fall. 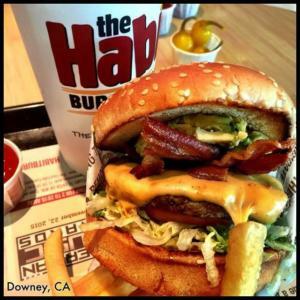 IRVINE, CA – Whether in a sandwich or a salad, The Habit Burger’s Golden Fried Chicken delivers satisfying crunch and big flavor in every bite. For a limited time only, The Habit Burger is bringing back the Golden Fried Chicken Salad, giving fans of their hand-breaded, buttermilk battered, perfectly seasoned golden fried chicken the option of a sandwich or salad. PrideStaff, a national, franchised staffing organization, is pleased to announce that Senior Vice President John-Reed McDonald was named one of Staffing Industry Analysts’ 2018 “40 Under 40” list of up-and-coming staffing industry leaders. This prestigious list honors trailblazers who have rapidly achieved remarkable success in an ever-evolving workforce ecosystem. John-Reed joined PrideStaff in 2007 as a Vice President – Field Consultant. In this role, he developed new sales processes for the PrideStaff system, assisted PrideStaff’s COO in creating a three-week training program for all newly opened PrideStaff offices, and was responsible for managing the profitability and growth of his assigned offices. In 2011, he was promoted to Senior Vice President and became a member of PrideStaff’s executive team. 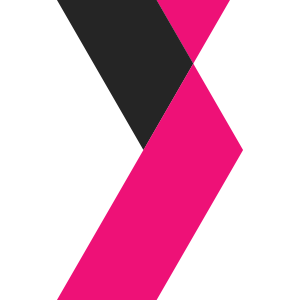 He currently also serves on PrideStaff’s Brand Advisory Council, providing direction to help shape the organization’s future. “We were thrilled to learn that our colleague and friend John-Reed was named to SIA’s ’40 Under 40′ list of staffing industry leaders,” said PrideStaff COO Tammi Heaton. “His hard work, innovation and leadership have helped shape several advances of the PrideStaff system, while earning our organization coveted spots on SIA’s list of the Top 100 Largest U.S. Staffing Firms five times, and on SIA’s Fastest-Growing U.S. Staffing Firms in 2015 and 2016.